We have cabins that can hold anywhere from 1 to 74 people, so we can accommodate your family no matter how big or small! 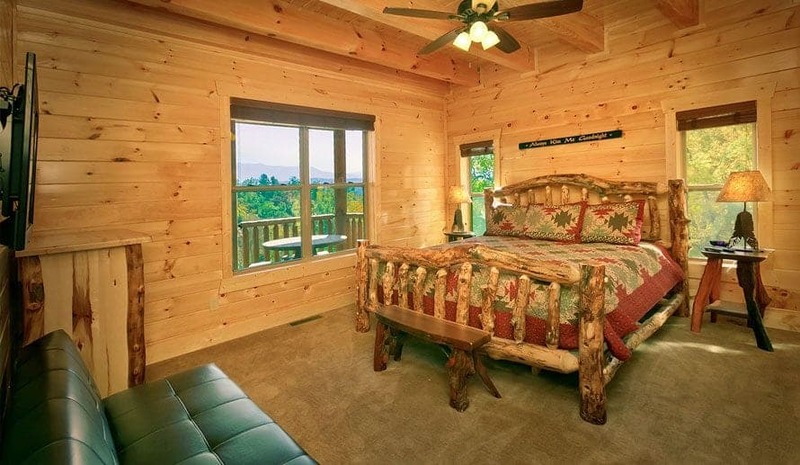 Our cabins are perfect for family reunions because guests have their own spacious bedroom or pull-out couch, unlike a hotel where you would have to share rooms. Large sitting areas, living rooms, and dens provide places for your whole family to spend time together. 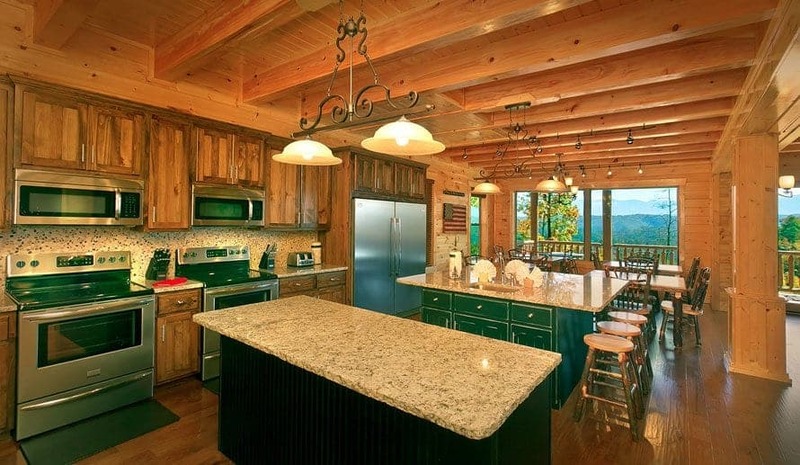 Meals made in the kitchen can be eaten in the dining room or outside on the deck. You won’t find all this space at a hotel! If everyone in your family was staying in a hotel, you’d have individual rooms and wouldn’t get to spend as much time together. 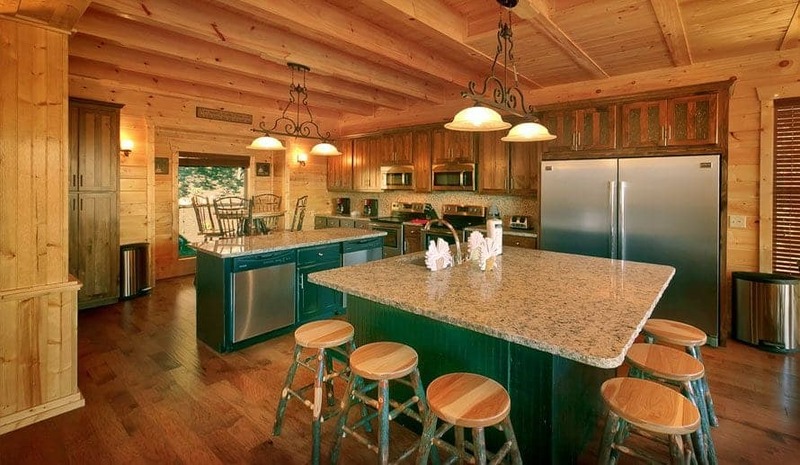 At our large cabins, your family members will only be a short walk down the hallway away! You’ll be able to spend even more time together when you stay in a cabin since you’ll all be staying in the same place. When you go on vacation, you want to feel like you’re still in the comfort of your own home. 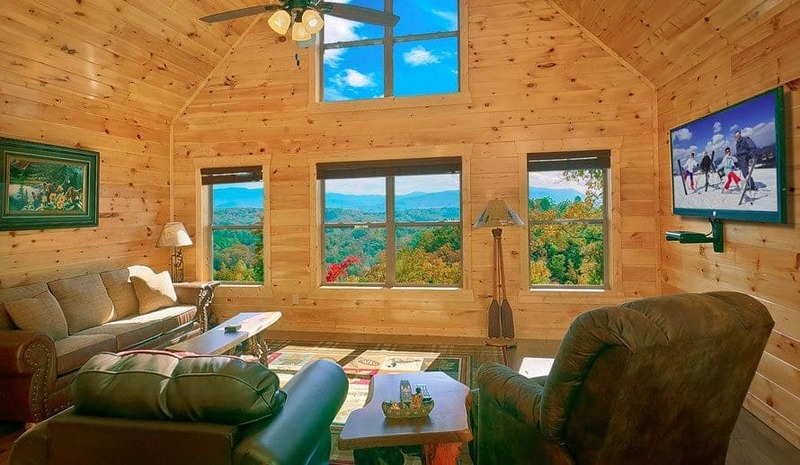 A cabin can provide a homey feel than a hotel room just can’t. You’ll have individual bedrooms with plenty of space. The kids can play in the game room while all the adults can catch up in the living room and den. During warm months, you’ll be able to grill outdoors just like at home. Plus, you can cook your favorite meals in our fully equipped kitchens. One of the best things about staying in a cabin is being away from the hustle and bustle of the city. But don’t worry — you won’t be far away from all the fun things to do in Gatlinburg! It’s only a car ride away to the SkyLift or the Space Needle to see the mountains like you’ve never seen them before. If you don’t feel like cooking, there are a ton of restaurants just down the road to choose from like the Cherokee Grill and Steakhouse or Loco Burro Fresh Mex Cantina. You won’t believe how close all the activities are that you’ll want to do! 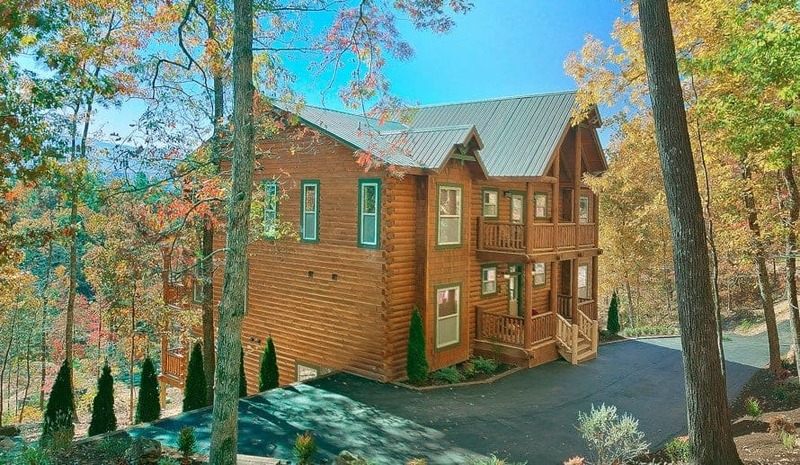 Staying at one of our large cabins in Gatlinburg definitely has its perks! You’ll have access to our seasonal outdoor pool for splashing around on hot summer days, and you can take food down to one of the pavilions to have a picnic and enjoy being outdoors. For those guests who don’t want to miss out on the gym, check out our exercise facility. 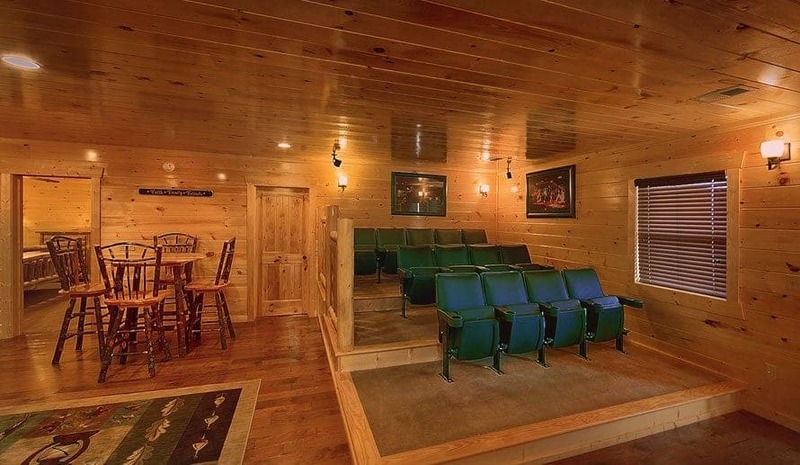 You won’t miss out on in-home entertainment with home theaters and game rooms with pool and foosball tables. Our amenities will keep you coming back for future family reunions! You’ll have a blast at your next family reunion when you stay with us. 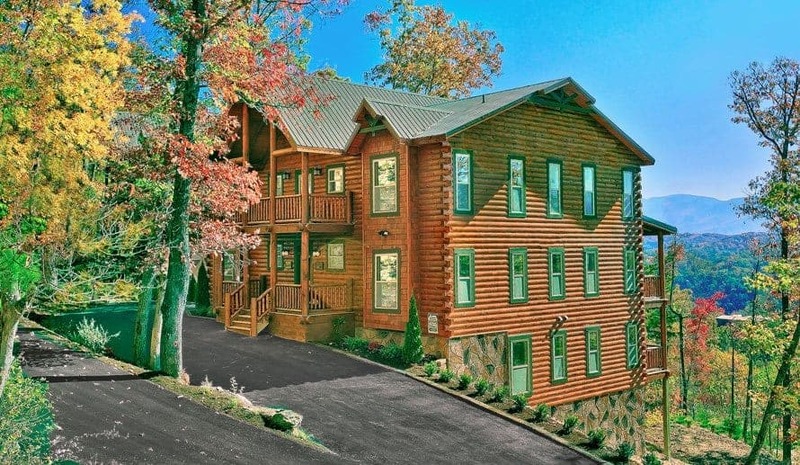 Check out our large cabins in Gatlinburg now!